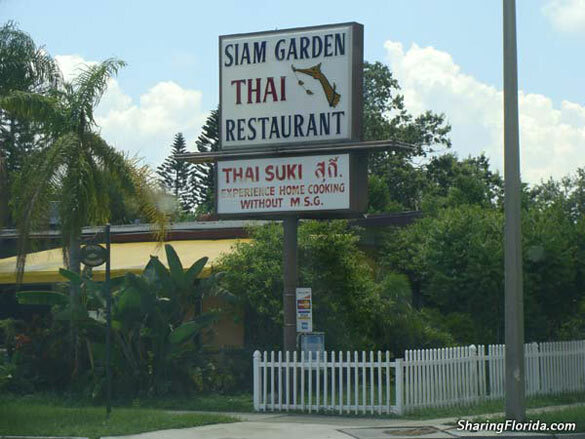 Pictures and review of Siam Garden Thai Restaurant in St. Petersburg, Florida. This page includes photos of the inside and outside of the restaurant as well as a photo of the Thai food served. There are many many Thai restaurants in St. Petersburg – some are really good, some are not so good. This is one of the GOOD ones. The interior and exterior are very nice. The exterior surrounded by all kinds of ‘Florida’ plants. There is even an outdoor sitting area which is quite nice. The inside is also quite nice (see photo). The food? Also very good. Lots to choose from. The fun thing about restaurants is trying them all, and finding a favorite. 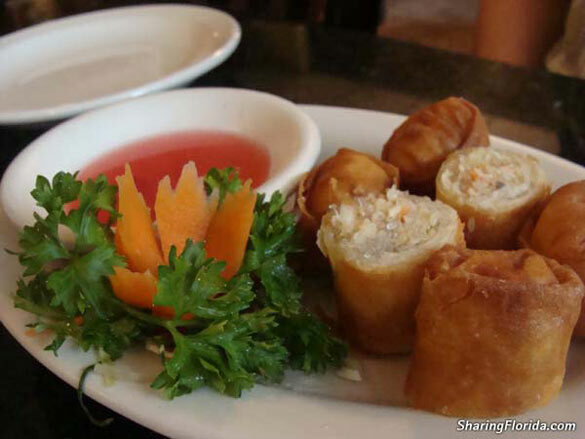 This could be #2 in the list – of course #1 is Thai Wok.